This watch features among the largest amount of hand workmanship of any watch we carry. 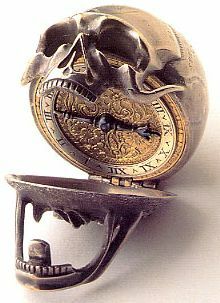 Stefan was inspired by the Memento Mori clocks that were first built more than 400 years ago. Those historic timepieces address the transiency of time by expressing it symbolically with a skull and bones. After designing his popular Kudoke Real Skeleton watch, Stefan wanted to create a watch with similar design but with a true dial. 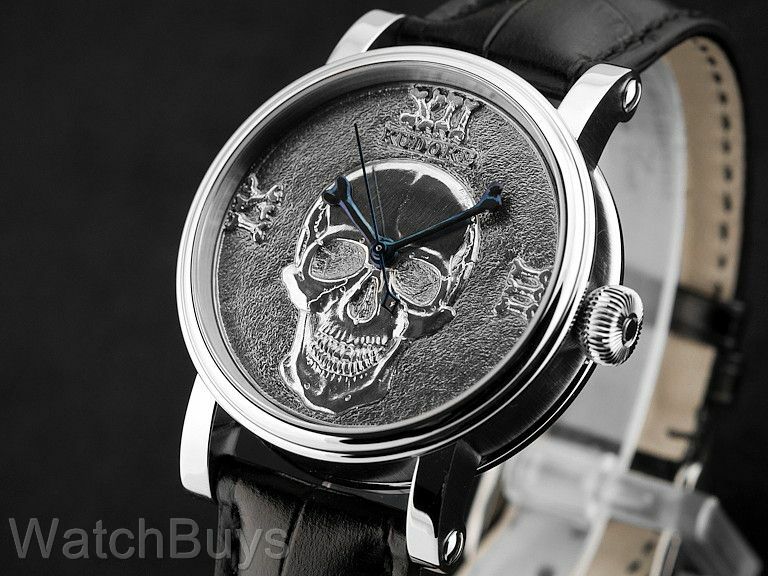 His goal was not to create a "grim" watch, but rather one of artistic expression to show the passage of time. You'll notice the use of small bones to show the Roman numerals and which are also engraved into the rotor. 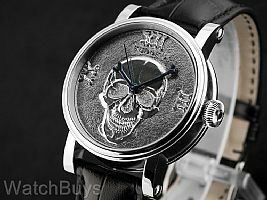 The dial is made from sterling silver and is completely made by hand. Using a relief engraving technique, Stefan creates an embossed skull and bones from silver. This type of engraving is much more difficult and time consuming than standard "cut out" engraving. 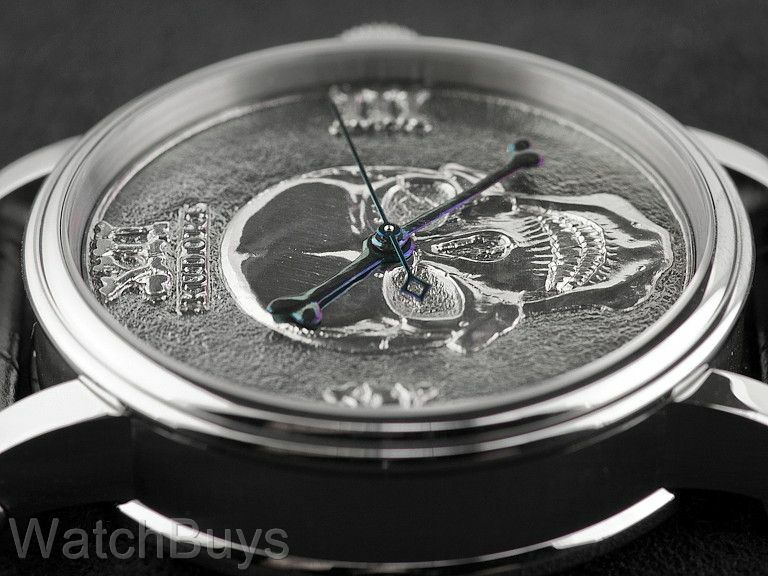 Once the engraving is completed, the dial is coated with black and white rhodium to create contrast. Using a small paintbrush, Stefan then applies a special lacquer using black rhodium to create added dimension. The minute and hour hands are also completely made in-house and by hand. Stefan uses a tiny saw to first cut the bone shapes; these shapes are then further refined by traditional engraving to achieve the final look. The final process is to temper both hands blue using hot brass chippings. Stefan has admitted to us that this step often must be repeated numerous times, as it is very difficult to achieve an even coloration (colors can range from light blue to violet unless the correct heat is applied). 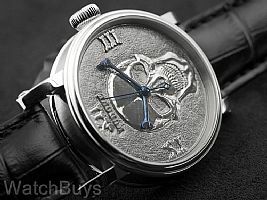 In summary, this is a very special watch of which no two pieces are exactly alike.